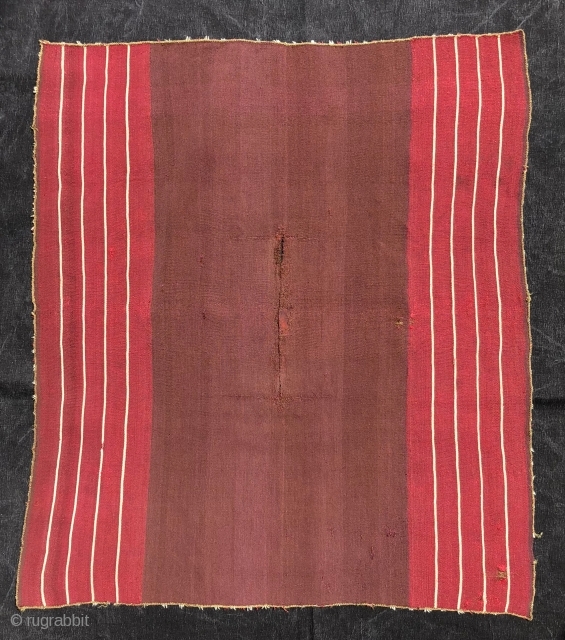 This Aymara warp-faced plain weave (kawa-ponchito) or small poncho with a "vacant center" layout dates to the first quarter of the 19th century. 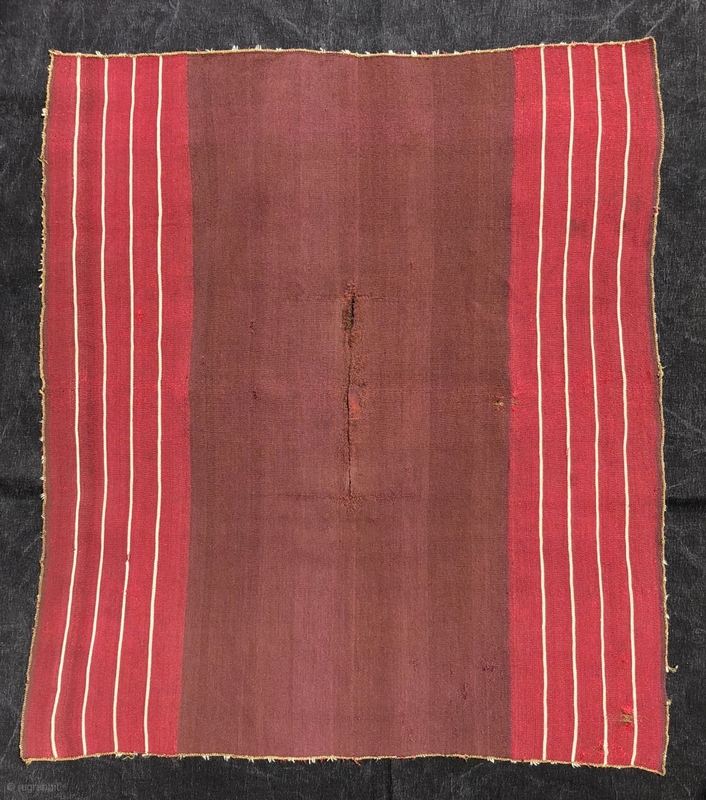 The arrangement of the stripes and the un-patterened center section echoes the design layout of earlier Aymara tunics from the 18th century and before. Beginning in the late 18th century, garments like this were worn over a larger poncho by village elders for various special occasions. These garments were purely ceremonial. An opening at the center of the textile allows it to slip over the wearer's head and settle over the shoulders like a regal shoulder mantle. 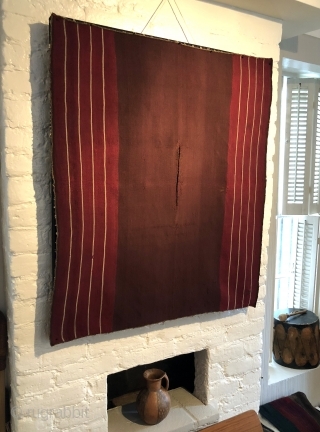 The handle and drape of this weaving is impressive. 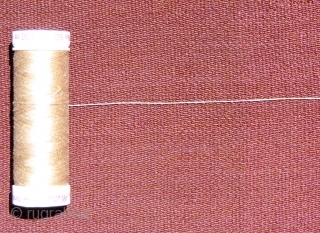 The subtle coloring of the center section of the textile is accomplished by the use of extremely finely spun yarns of pale rose and light brown that have been plyed together into individual bi-chrome yarns which are varied in sequence throughout the field. 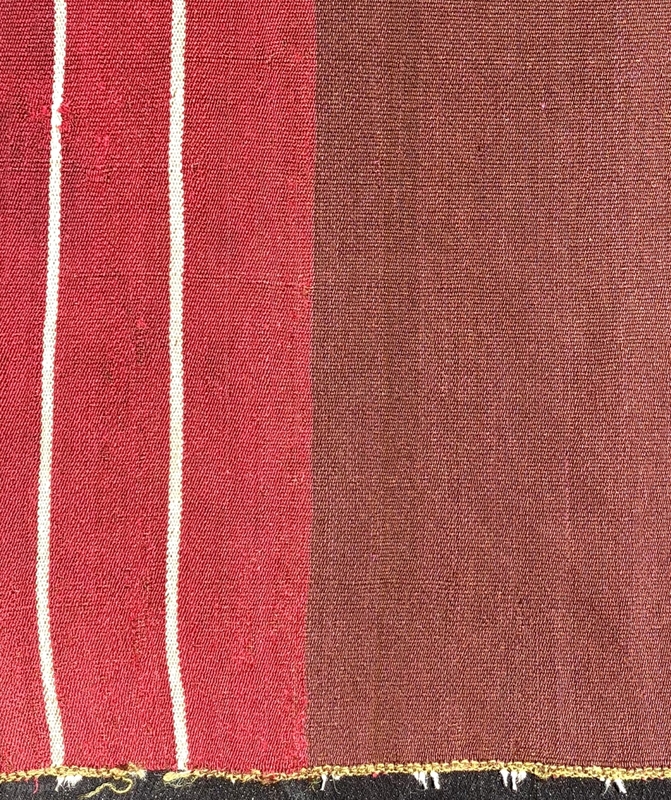 These sophisticated spinning and weaving techniques cause the eye to blend the two colors together imaging a "third color" as seen from a short distance from the textile. There is the usual damage in areas around the neck opening of this piece that have been backed and stabilized. 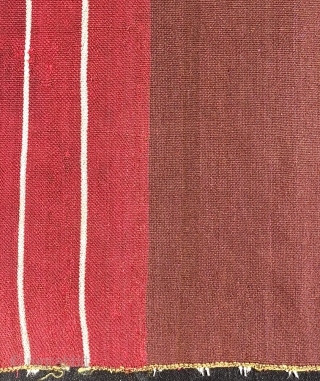 This is a very fine example of warp-faced plain weave from the high Altiplano of Bolivia. Aymara weavers created the finest and most prized ceremonial textiles in the Andes. Nothing woven in the Near East or Central Asia can compare to the fineness of this textile. 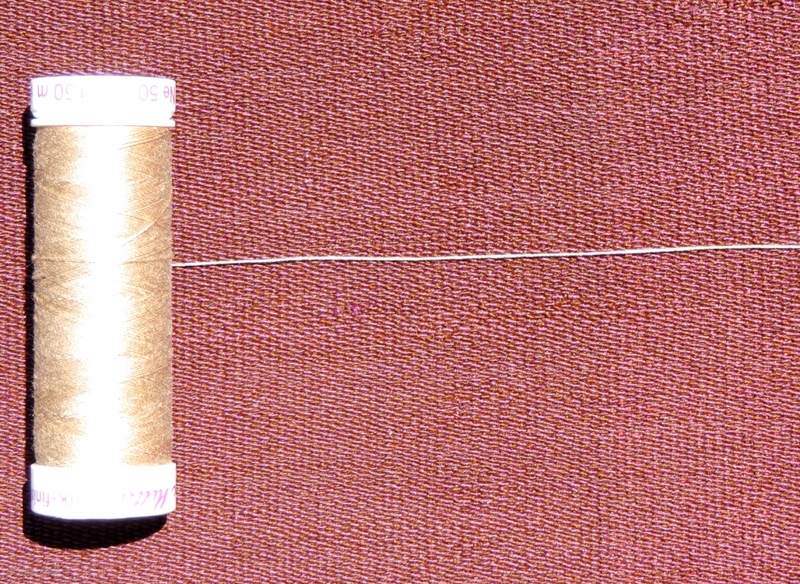 See image that compares fine, conservation grade sewing thread to the two ply alpaca yarns of the weaving - the fine alpaca yarns of this piece are smaller diameter. The size: 32 x 36 inches.